(Aug 27): Three hundred workers today lost their jobs at the Naza plant in Kedah that assembles Peugeot and Kia cars as poor car sales begin biting the country's auto industry. Car sales nationwide slipped in July to 58,646 units from 60,269 units in the same month last year, according to statistics from the Malaysian Automotive Association (MAA). From January to July this year, the total sale of vehicles was 380,830 units down from 393,425 units in the corresponding period last year. The association had previously predicted that sales of vehicles this year would be lower than last year due to the introduction of the goods and services tax in April, with consumers adopting a 'wait-and-see' approach. 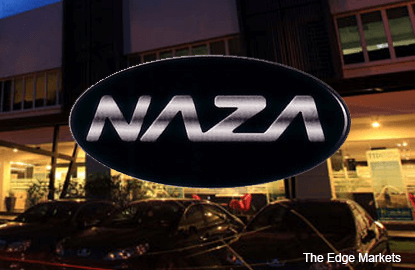 The lay-off at Naza Automotive Manufacturing (NAM) Sdn Bhd involved 225 staff members, and 30 from the NAM Committee. The remaining employees who lost their jobs were administration staff. The affected employees were given a farewell party earlier today at Dewan Seri Zaleha in Gurun, Kedah. According to the programme of the event, the farewell party was attended by NAM chief operations officer Roslan Abd Ghani and a labour department officer. At the event, the laid-off staff also received their termination letters. Attempts by The Malaysian Insider to contact the NAM head office in Kedah for confirmation of the lay-offs did not receive any response. NAM is one of the car manufacturing companies under the Naza Group that has been in operation since 2004.